Adolescents have wide exposure to media, typically television and films. Mobile phones, internet, and social media have wide potential to enhance adolescents’ access to information. 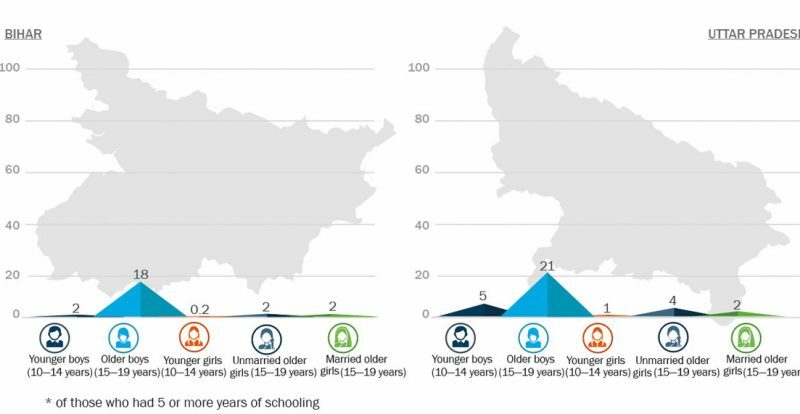 UDAYA explores the exposure to media and technology by gender, age, caste, marital status, educational level, current schooling status, household economic status, mother’s education, and rural or urban residence. Larger proportions of adolescents were exposed to mass media, typically television and films. Exposure to media was gendered, with boys having greater exposure to television, internet, and social media. 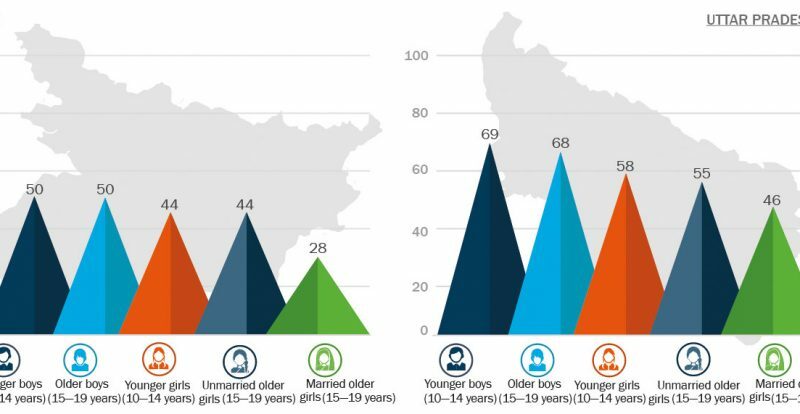 Use of internet and access to social media was the highest among older adolescent boys in both states. Media access was similar in urban and rural areas for boys. 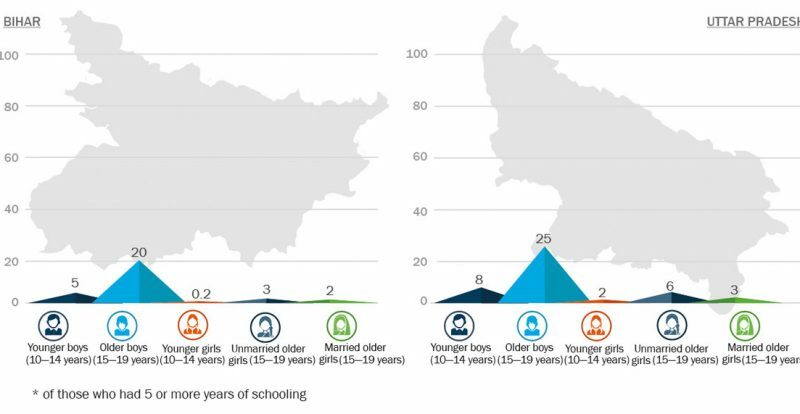 Amongst girls, urban girls had higher exposure (except radio) than rural girls. The large majority of adolescents owned a mobile phone or had access to a family member’s mobile phone. Older adolescents were more likely than younger adolescents to own a mobile phone—with boys more likely to own a mobile phone than girls. A large proportion of boys and girls—other than older boys—reported access to a family member’s phone. Very few adolescents, except older boys, had ever accessed social media. 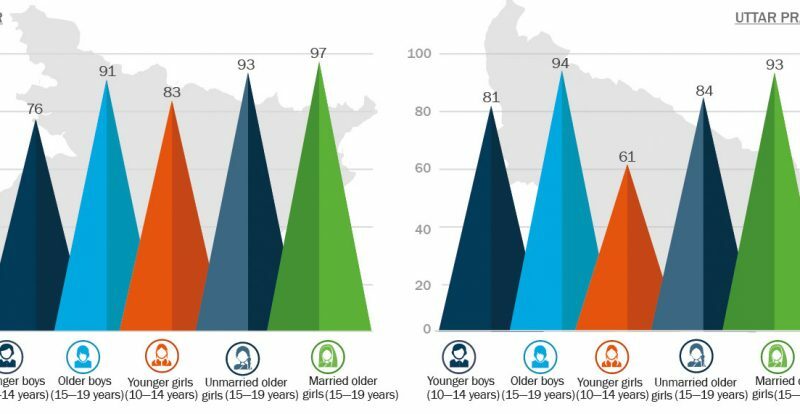 Of the adolescents that have had access to social media, it was slated more towards boys than girls; those from general castes over those from disadvantaged castes and tribes; better educated adolescents over the less educated; those currently attending school over those out of school; those belonging to economically better-off households over worse-off households; those whose mother was better educated over the less educated; and those residing in urban over rural areas. Many younger boys and older unmarried girls required permission from their parents or other elders in the family to access the internet.